Today, Dec 30, is CityVan's last day of operating in Newfield, Enfield and Ithaca. Thank you for making CityVan a successful pilot. Over 4,500 trips were taken on CityVan since March 2010. We will publish a study about the CityVan Rural Van Service Pilot and report it on this website in Spring 2012. To learn about all mobility options in Tompkins County, you can call 211, go to the Way2Go website, or talk with the County's Mobility Program Specialist at 274-5022. Thank you for riding CityVan. In 2010, Tompkins County started CityVan as a pilot project to operate through the end of 2011. Our purpose was to provide weekday rural van service in the Towns of Newfield and Enfield. CityVan became successful. In 2011, the number of riders grew to enable CityVan to meet its project goals. 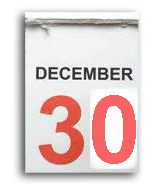 Regrettably, as a trial program, CityVan is scheduled to end on Friday, Dec. 30, 2011 when our grant funding ends. We know this will cause you to change your travel routine. We regret this and we want to assist you with this change. We visited the Newfield and Enfield Town Board meetings in December to answer questions. We arranged meetings with CityVan riders to answer questions, and enable people to call in by telephone. We will also be posting updated information on the CityVan website Cityvan.weebly.com. Further, you can find information on the Way2Go website (way2goinfo.org), or by calling 211. 274-5022, Monday-Friday 8:30-4:30; call afterhours and leave a message or send me an email to: Cynthia.kloppel@dfa.state.ny.us. In the mean time, please keep using CityVan! CityVan is a reliable way to travel from the Towns of Newfield and Enfield to Downtown Ithaca. Call 277-7777 to schedule your CityVan ride! CityVan takes people between the Towns of Newfield, Enfield, southwest Town of Ithaca and Downtown Ithaca. (1) CityVan can be used for in-Town trips in Newfield and Enfield too. The service is available from early morning to early evening on weekdays, Monday to Friday. CityVan helps people get to work, appointments, shopping and for all other activities. 1. Southwest Town of Ithaca includes the area between Bostwick Road to Route 13A and Route 13. CityVan is operated by Ithaca Dispatch under contract with Tompkins County. CityVan began service in March 2010. It is a pilot program to provide affordable van service in rural towns. A regular taxi ride from Enfield and Newfield can cost up to $20 each way. With CityVan, a person pays only $3. For more background information about CityVan click here. Call 277-7777 to reserve a trip on CityVan 24 hours a day, 7 days a week. Call early to reserve a trip at the time you want. If you need a ride on the same day, please call as early as possible. We will try to accommodate last minute requests. If CityVan is unable to meet your travel request, we will use the information to improve service in the future. - Adults over 18 years old pay $3.00 for a one-way trip. Up to 3 children, 5 years and younger, ride free with an adult. - Youth, 6-17, pay $2.00 for each one-way trip. Youth under 13 years must travel with an adult. - Adults pay $2.00 and Youth pay $1.00 for one-way trips. Cancelling a Trip! You need to call 277-7777 at two hours or more before your pick-up time to cancel a ride. We want to carry everybody who wants to travel. Help everybody ride CityVan by making cancellations on time. CityVan is a member of a family of mobility services promoted by Way2Go! For more information on CityVan and other travel choices contact Cynthia, County mobility advisor, at 274-5022 or send an email to Cynthia.kloppel@dfa.state.ny.us. Check out Way2Goinfo.org for information on all travel options in the County.